The Fulton Universal Aluminum Router Plate is pre-drilled to fit the most common routers on the market. Two snap-in insert rings for various sizes router bits and all the necessary hardware included. 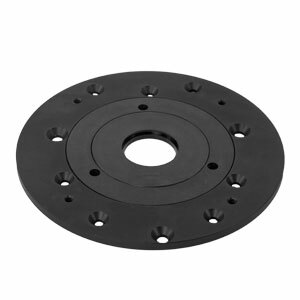 Hardware is included to mount the plate to most any 1 to 1-1/2 HP router. (not included), use the centering pin to line-up the base plate to the collet, install your bit for perfect alignment. Plate has a 1-3/16" dia. center hole that will accept our inlay or template guide kit. Reduce the tendency of your router to tip when routing an edge of a board. 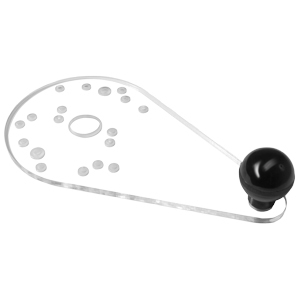 The 3/8" thick, clear acrylic plate provides plenty of support while making your cuts. The base has a recessed hole to accept Porter Cable style guide bushings. With patented TurnLock™, changing bushings is tool free , hardware free, and takes only seconds. Guide bushings lock into position with just a simple twist. The base plate is made of durable, clear polycarbonate. Special ride pads keep your router base scratch free. 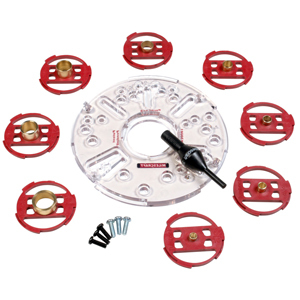 Base plate systems include: base plate, centering pin, mounting hardware, detailed instructions, and 9-piece guide bushing set. Guide bushing sets are molded from reinforced ABS resin. Metal nose bushings are for high-wear applications. 1 ea. Guide Bushings 5/16" O.D. 1 ea. Guide Bushings 3/8" O.D. 1 ea. Guide Bushings 7/16" O.D. 1 ea. Guide Bushings 1/2" O.D. 1 ea. Guide Bushings 5/8" O.D. 1 ea. Guide Bushings 51/64" O.D. 1 ea. Guide Bushings 3/4" O.D. 1 ea. Guide Bushings 1" O.D. 1 ea. Porter-Cable style guide adapter. No need to try and figure out what size screw you need for your router base plate. 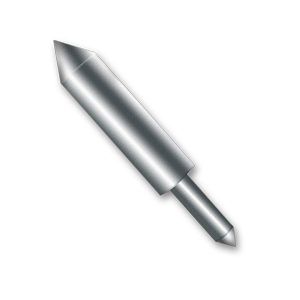 This set gives you the 6 most common thread sizes for old and new routers and fit most of the popular models. Each size is bagged in packs of 4 and are labeled. 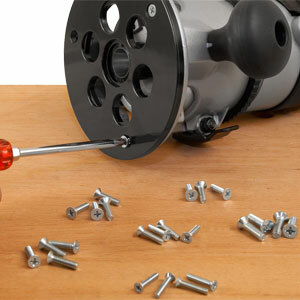 The screws can be shortened as needed. This uniquely designed bushing guide centering pin works with 1/4" or 1/2" shank router collets. Chuck the straight end into router collets, and raise the bushing guide until it centers on the tapered edges of the centering pin to align the base plate to the collet. This will give you perfect router bit alignment. The center pin is positioning device only and is not to be used on any running machinery. 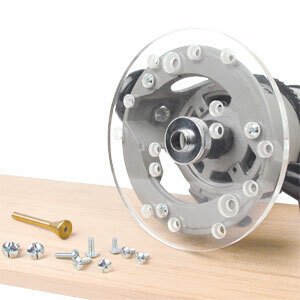 This handy set-up tool is designed to fit both 1/4" and 1/2" router collets, and center the base plate to the collet. It’s vital for inlay work, pattern router, and using any precision fence system. It will also indicate the exact center of any bit cut, which is important when locating grooves and dadoes. 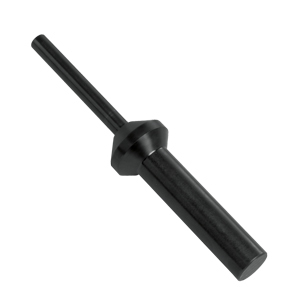 The centering /alignment pin can be used to check run-out on drill press, mill and lathe chucks.